These cupcakes were easy. The cupcake is just a Betty Crocker cake mix. The frosting is home made. Color the frosting different colors. 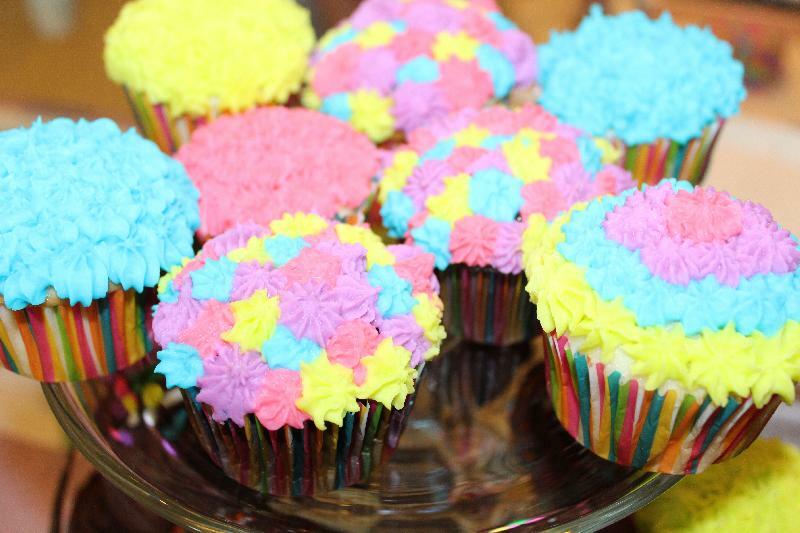 I used a star tip to get the cupcakes to look like that.